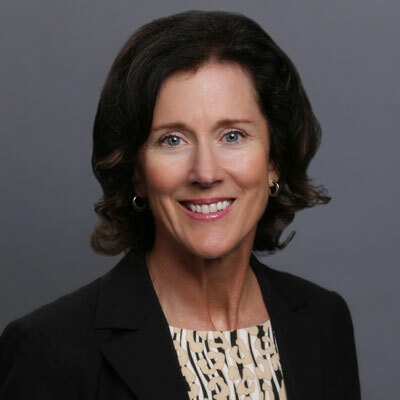 Dawn Duross is currently a Senior Director in Cisco's Global & Strategic Partner Organization, responsible for managing a portfolio of Cisco's global partnerships. Duross and her team drive executive alignment, partner strategy, and Go to Market activities with these firms to drive business outcomes in key technology areas such as Data Center, Cloud, and Collaboration. Previously at Cisco, Duross was the Senior Director of Cisco's US Public Sector & Solution Integrator Partner Organization, where she was responsible for working with a broad set of complex, multidimensional partners to meet the needs of private and public sector customers. Duross has led Cisco's Global Government SI Council and served on the Cisco Gender Diversity Operating Committee. Prior to joining Cisco, Duross was Director of Federal Sales for Thinking Machines Corporation, a supercomputer manufacturer. She also held account executive and business development positions at Oracle Corporation and Hewlett Packard. Duross has also been an industry analyst at IDC covering emerging technologies. My team has worked with our key partners and developed new solutions that solve customer problems. We work with the entire eco-system to do this. Examples include enabling partners to deliver multi-cloud solutions, integrating technologies to bring together new ways to collaborate and securing the data center. We will continue to innovate with our partners and work to drive new revenue streams. Areas we will focus on include working with our partners to build solutions in areas like Industrial Security, Factory Wireless and Connected Roadways. I was elected to the Board of Directors of two organizations: UCP of Central Florida and WMFE. UCP is a non-profit organization formed in 1955 with seven campuses - making a difference in the lives of thousands of children in Central Florida. The mission of UCP is to empower children with and without disabilities to achieve their potential by providing individualized support, education and therapy services in an inclusive environment. There are many women I admire. I recently saw a fabulous play written by Lauren Gunderson called Silent Sky based on the life and discoveries of astronomer Henrietta Swan Leavitt. It was her discovery that first allowed astronomers to measure the distance between the Earth and faraway galaxies. Don't be so hard on yourself. Keep focusing on good grades and getting into college. Life is good. I would like to be more proficient with social media. It is something I do every once in awhile, but it's not intuitive. The Book of Joy by the Dalia Lama, Desmond Tutu and Douglas Abrams It is a great book about finding true happiness and peace in this chaotic world.